On Wednesday, I published an article about a new memory test for Alzheimer's that can be administered in five minutes. The links to the test and scoring sheet are contained in the original article -- Test Your Memory (TYM) for Alzheimer's or Dementia in Five Minutes. I am receiving emails from readers and I thought I would address two questions. One reader asked, "I am curious to hear their opinion, about the level of education for the test taker, and its effect on the validity of the test". This ceiling effect suggests that education and social class would have only mild effects on the TYM score, but we did not formally assess this. The reason for the low scoring controls was often apparent from the score sheet—lack of interest, reading problems, or a sense of humour. I will try to talk to researchers and get a clearer answer to this question. Several readers are asking about the scoring system for the test. The control group scored 47 out of 50 (ages 18-70). A score equal to, or less than, 42 detects Alzheimer's 93 percent of the time. 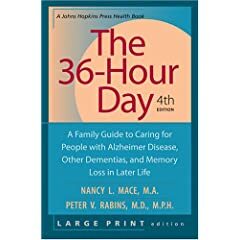 Patients with Alzheimer's scored 33 out of 50. The range of scores for patients with Alzheimer's was 9-50. The new "test your memory" (TYM) test is quick to use, examines 10 cognitive skills, and detects 93% of cases of Alzheimer’s disease. If you would like to read the highly technical paper which was published in the BMJ follow this link -- Self administered cognitive screening test (TYM) for detection of Alzheimer’s disease: cross sectional study. Have a question, put it in the comments box. This is the first draft of this article and it will be updated. Alzheimer's Reading Room is the number one website on the Internet for insight into Alzheimer's disease.